Players are currently busy plugging away at the World Tier 5 update introduced recently. There’s a new stronghold to take on, and a new Gear Score limit to reach. This should keep you busy for a while, which is good because there’s another large update on the Horizon. The Division 2: Episode 1 - D.C. Outskirts Expeditions will add a bunch of new content, namely the game’s first Raid. The Operation Dark Hours Raid will task 8 players with carrying out a complex covert mission, and will be the hardest challenge you’ll have faced yet. Not much has been officially revealed about Operation Dark Hours, but thanks to a leak, we do know a few details. 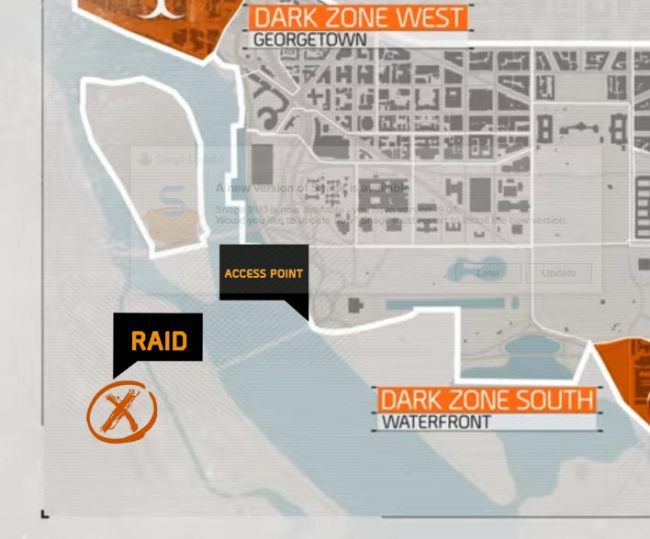 In this The Division 2 Raid Guide, we’ll be detailing everything we know about the raid so far, from a release date, to some of the leaked info. For more on The Division 2, be sure to head over to our The Division 2 Guides Hub. There’s a breakdown of Exotic Weapons, a look at where to get all 12 Hunters Masks, and more. Is The Division 2 Dark Hours Free? 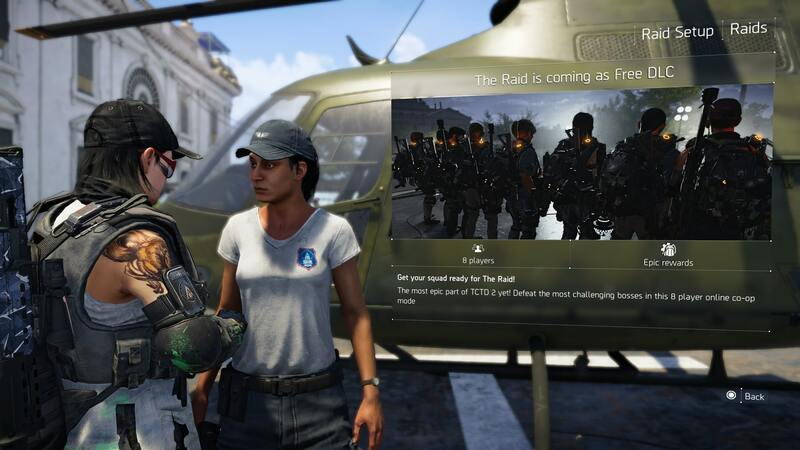 The Division 2’s first Raid will release on April 25, 2019 to cap off the Invasion update which launched at the start of April. We don’t have any specific timings yet, but we’ll be sure to keep this page updated. There’s been very little in the way of official news from Ubisoft regarding Operation Dark Hours, but thanks to some sneaky datamining we do know a few things. According to Reddit user kevindavid40, these are the objectives that players will be taking on. If you’ve been playing The Division 2 after April 5, you’ll have noticed a new icon on the map. It is the yellow Helicopter Icon, labeled ‘Offsite Activities Pilot’. If you approach the pilot, you’ll be met with a Raid Coming Soon page, so this is likely where you will access the Raid. One of the coolest things about Operation Dark Hours is that it is an 8-player co-op mission. On it, according to the leaks at least, you’ll split into two teams of four, each with its own objective. As with all of the main post-launch content in The Division 2, the Operation Dark Hours Raid is absolutely free. You’ll likely need to be a certain level to access it though, so get grinding those endgame activities. The maximum possible Gear Score in The Division 2 is currently 500. You can increase this slightly with some clever Gear Modding, but for now, it looks as though the Raid will be aimed at those with a Gear Score of at least 500. For a look at how to increase your Gear Score in The Division 2, head over to our The Division 2 Endgame Guide.